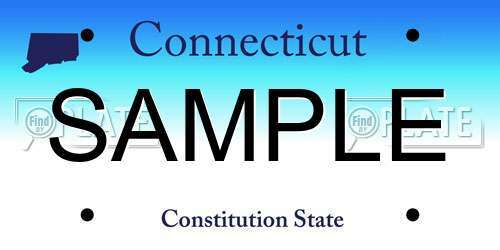 If you own a vehicle in Connecticut or require replacement plates, you are apply in person at the DMV. For renewals, you can do this either in person, by mail or online. When you are purchasing a new or used vehicle in Connecticut, you must register it at the Department of Motor Vehicles (DMV). If you have purchased a vehicle from a dealer, you should have received temporary tags from them. This permits you to drive your vehicle as your plates are being prepared by the DMV. If you are purchasing a vehicle privately, you should visit the DMV in advance to obtain a temporary tag. These temporary tags typically cost $21 and remain valid for 21 days. You have 60 days to register your vehicle at the DMV if you are a new resident to Connecticut. If you are purchasing a vehicle from a dealer, often the dealer will handle the registration of your vehicle. Finally, if you are purchasing from privately, you will have to register the vehicle yourself. Please contact your DMV for a full list of requirements for the vehicle you intend to register. You are obligated to have 2 license plates on your vehicle, 1 at the front and 1 at the rear. If you are registered a motorcycle or a trailer, you’ll only be issued 1 plate for the rear. Since 2010, you no longer have to have registration stickers on your license plate. Typically, your license plate in connecticut will be valid for 2 years. Afterward, you have to renew your registration either in person, by mail, or online. You can check license plate availability and purchase your combination of characters for just $94 (on top of any additional registration or renewal fees). These specialty license plates will add an additional $50 to $96 dollars to your total registration, depending on the type you get. Keep in mind, that this additional costs are required each time you renew your vehicle. If your license plates are not in good condition, they can fall off. Or, in some cases, people have had their license plates stolen off their vehicle. Regardless of the situation, you must apply for new license plates at the DMV in person. There are a few steps to take to get your license plates replaced. The first thing to do, is to file a police report if your license plates were stolen or damaged purposefully. Be sure to get an additional copy to bring to the DMV. After submitting the appropriate documents, you can obtain a new set of license plates and a new number. If you want to get your original plate number, you must fist wait 10 months. Then, you can submit form E-45: Replacement Application for Identical Plate and submit any required fees online or by phone. You are the property owner of the license plates registered to your vehicle. Should you decide to sell, donate, or trade your vehicle, you have the option to keep or transfer your plates. Payment for additional fees, taxes, etc. Note: You can also put your plates on hold in the event that you sell your vehicle and want to use your plates for an upcoming purchase of a new vehicle. Go to your DMV’s online service to place a hold. If you sell your car and want to use your license plates for a different car that is not yet in your possession, you can put your plates on hold. If you don’t want to remain in possession of your license plates, you can surrender them to the DMV. Alternatively, if you are moving to a new state, you should also surrender them. The following fees apply to the registration of your license plate only. Any additional fees, such as service fees, emissions fees, or other fees, are not included. Want to Look Up License Plate Numbers in Connecticut? If you want to check for available license plates or get a history of a car based on its license plate (for those purchasing from dealers and private sellers), try this 100% free license plate lookup service.